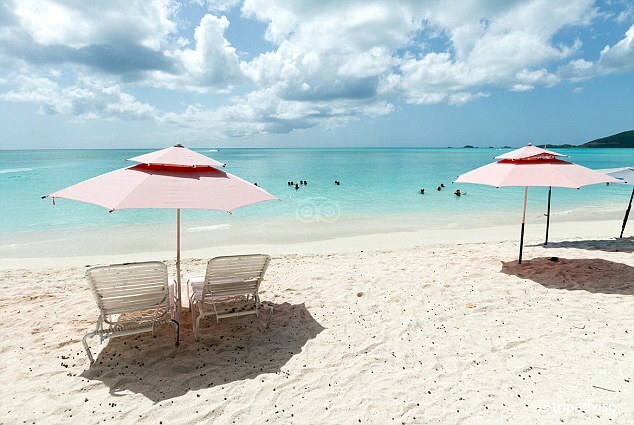 Three government officials ran up a bill of more than £18,000 staying at a 'dream' holiday resort on a Caribbean island, it can be revealed. 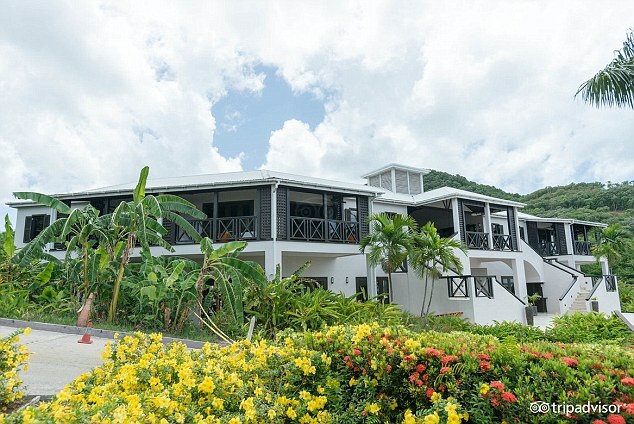 The group were booked in at the luxury Sugar Ridge Resort on Antigua for a total 64 days as they advised the local authorities on drug trafficking. The destination boasts an infinity pool, waterfalls and private plunge pools as well as a 'concept' spa, gym and gourmet restaurant. 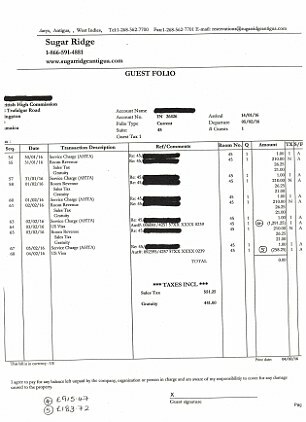 Details of the trip, which took place at peak holiday season, were disclosed to MailOnline after a long-running Freedom of Information battle. Campaigners lashed out at the 'ridiculous' costs - which included £12,126 for accommodation, £4,144 for subsistence, £1,310 for car hire, and £994 for flights. The Home Office admitted the idea of government officials staying at a luxury resort might 'raise concerns'. 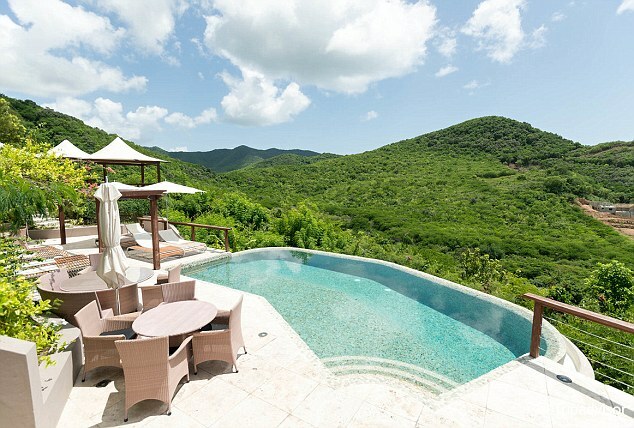 But it insisted Sugar Ridge - which is one of the one of the top rated resorts on Antigua, with some rooms costing upwards of USD600 a night - offered the right balance between 'cost and security'. 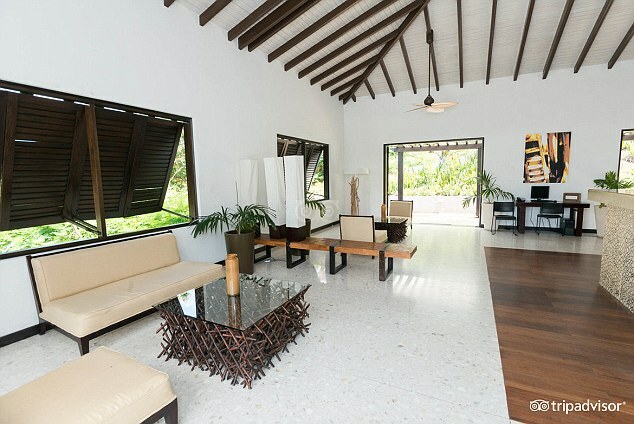 The resort's website described it as a 'stylish and intimate family owned lifestyle boutique hotel for discerning travellers who want to connect with the beautiful island of Antigua in a special way'. Guests are also advised it is the 'perfect place to retreat, relax, recharge and re-energise, and the perfect base from which to explore'. A particular feature is 'Carmichael's infinity pool', which is said to be 'perfect for sunset gazing and conversations, with drinks served poolside'. 'The Sugar Club pool is a dream setting, with waterfalls, a lap pool and a fun pool as well as covered and open lounge areas,' the site says. 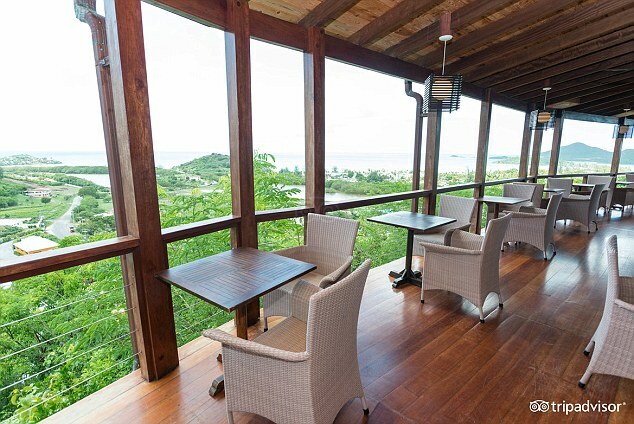 Main courses at the gourmet restaurant looking out across the Caribbean include Maple Leaf Duck Two Ways, costing USD38, and Herb Crusted & Roasted Rack of Lamb at USD47. The resort boasts that all 60 rooms are 'wrapped around the hillside with a natural landscape providing seclusion and privacy offering spectacular views and spacious verandahs'. 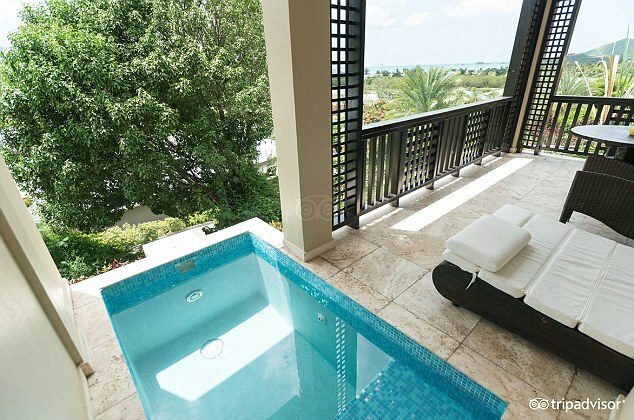 More than half have their own private plunge pools. There is also an opulent 'concept spa' on site offering treatments such as facials, waxing and pedicures, yoga classes and a gym. The FOI response from the Home Office said officials had been invited by the Antiguan Customs authorities to help 'build the capacity and capability' at the country's main airport. It said smuggling of Class A drugs from the region, often having originated in South America, represented a 'real and present threat to the UK'. Between January 14 and February 5, 2016 three Border Force officers stayed for a total of 64 nights. 'During this deployment, and at the invitation of the Antigua Customs authorities, the UK Border Force staff provided practical assistance and training for local customs officers in border protection techniques and how to prevent current smuggling methodologies,' the department said. The Home Office said the safety of officials was 'paramount' and suggested they might have 'under observation' by criminal gangs. 'To find suitable and safe accommodation, Border Force would usually select a business chain hotel,' the response said. 'For this deployment, none exist on the island, nor are there any hotels within the airport complex. 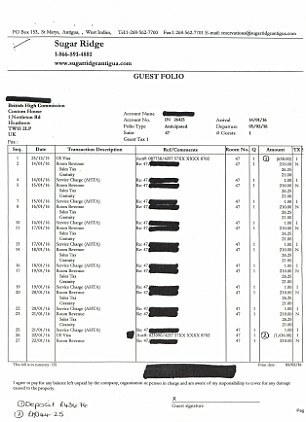 'Sugar Ridge, whilst some distance away, offered the requisite level of security as recommended by National Crime Agency and Foreign and Commonwealth Office colleagues. 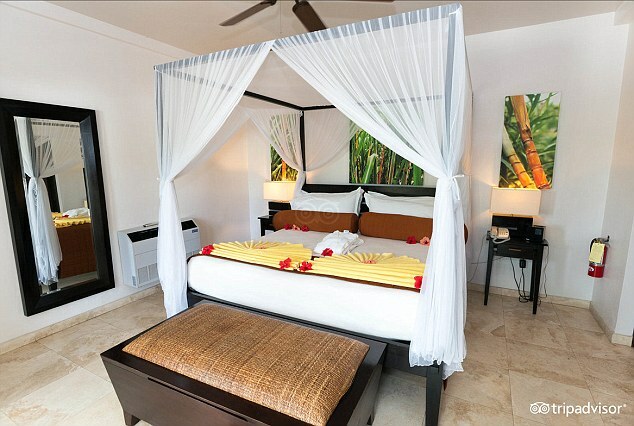 It also offered a significant discount on their standard tourist rates. Chloe Westley, Campaign Manager at the TaxPayers' Alliance said: 'This is just ridiculous. 'Hard pressed families who work hard and pay their taxes could only dream of experiencing some of the luxuries that these officials have taken for granted on the public purse.